EVANSVILLE, Ind. (CNS) — Archbishop Thomas G. Wenski of Miami cut to the chase about halfway through his Oct. 8 keynote at a Respect Life celebration sponsored by the Diocese of Evansville. “The story of the Holy Family is instructive,” said Archbishop Wenski, who devoted his remarks to migration and immigration. “Joseph took the child and fled with Mary to Egypt. Earlier in the day, during a news conference with Evansville Bishop Charles C. Thompson, the chair of the U.S. Conference of Catholic Bishops’ Committee on Domestic Justice and Human Development minced no words when describing long-standing church teaching on human dignity. “No human being … can be reduced to a problem,” Archbishop Wenski said in the offices of Catholic Charities — and again during his keynote at Nativity Church, which hosted two talks by the prelate. He spoke about immigration at both the diocese’s Spanish-language Respect Life celebration Oct. 7 and the English-language celebration the following day. Archbishop Wenski, who also serves on the U.S. bishops’ migration committee, opened his remarks by focusing on the nature of laws — and what Jesus had to say about them. He emphasized the church will — and must — continue to speak out on behalf of migrants everywhere. “(Catholics) must model to the rest of the world what a reconciled world looks like. We have to show that diversity enriches the church. … Language doesn’t divide us; diversity doesn’t divide us. What divides us is sin; everything else should enrich us. Archbishop Wenski added, “Sometimes people will come up to me and say, ‘Well, what part of illegal don’t you understand?’ I would say that instead of describing them as breaking the law, it’s better to say that they are being broken by the law. The law is inadequate and antiquated, and (as a result) it is unjust. “Our country has been able to honor lawbreakers. We honored the lawbreakers of the Boston Tea Party,” he continued. “We honor the lawbreaking of Rosa Parks, who refused to give up her seat to a white person on a bus. Lilley is editor of The Message, newspaper of the Diocese of Evansville. If you are a believer, what don’t you “understand” about welcoming the stranger, compassion for your neighbor, loving your brothers and sisters as yourself, laws are to be made for the protection and welfare of human beings not vice versa, responsible parents must do all they can in order to nurture and protect their children, and it takes a (global) village to raise a child??????? If you are a parent, what would wisdom and common sense tell you to do if you and your family were living in fear for your lives while your government is part of the problem? If this country spends billions of dollars on killing peoples in other lands, in the name of freedom, why do we not have the will to accept vulnerable families who need us and will contribute to our welfare if given the chance????? 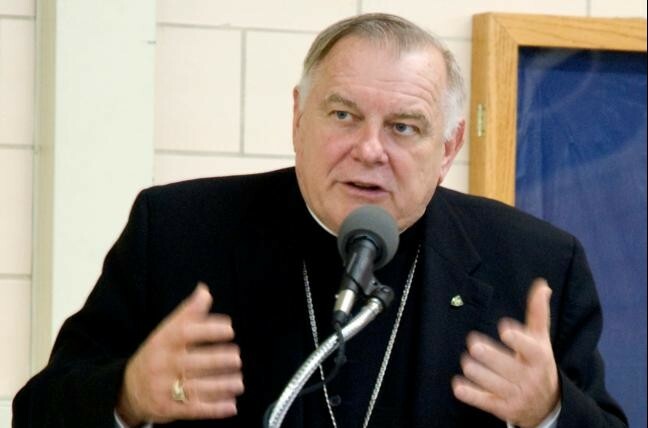 I would have found it more helpful if Archbishop Wenski had been more specific concerning what is wrong with the present immigration laws of the U.S. Is it that the U.S. quota for immigrants is too low? How high should it be? Is it that the waiting period is too long? How long should it be? Is it that the allocation by each specific foreign country is unfair? What should the country by country allocations be? Is it inadequate funding? What should be spent? Well we would probably be told by the Archbishop that the Congress should answer these type questions. Simply saying the present immigration laws are inadequate and antiquated is not enough in my opinion. How are the laws inadequate? In what ways? Is enforcement adequate? What kind of enforcement is proper? The matter of citizenship versus legalization is another angle on this subject. Should someone who enters illegally be put ahead of someone who attempts to enter legally but comes from a country that has a low “quota”? It reminds me of someone 30 years ago saying that air pollution is a big problem. Well since that time lots of research, legislation, programs and funding have accompanied the improvement in air quality. Thirty years ago saying the air smelled was not enough to cause a significant improvement. So yes, lets welcome the stranger, focus on the person as a member of the human race and a child of God, and at the same time get beyond the slogans and mantras. Perhaps USCCB has produced detailed proposals. If so, lets hear them. I’m afraid you’re going to get the same response as the pope when asked specifically how he would solve the hoax that is global warming: none. for permanent residency for undocumented residing in the United States. “Earned” legalization should be achievable and independently verifiable. • Mobility between U.S. and homeland and within U.S. The Holy Family were escaping persecution when they fled to Egypt, but they had no plans to stay there. This is not the same situation in the U.S. today. Our immigration laws are not unjust, America allows up to a million immigrants to enter our country legally every year.